This casino does no longer accept customers from the UK! Have a look at our casino reviews and choose a different one. GoWild casino site is an independently run business that started its operations back in 2008. At first, they only worked with one software provider, Microgaming, to keep things easy and simple. But starting from May 2017, they added more software providers to their list, to add more classic and latest games. In our Go Wild Casino review, we had a in dept look at all the options that are available. Right now there are over 800 games available at the GoWild casino. The games include all the classic staples you would find at a traditional casino, such as table games, slots games, jackpot, poker etc. 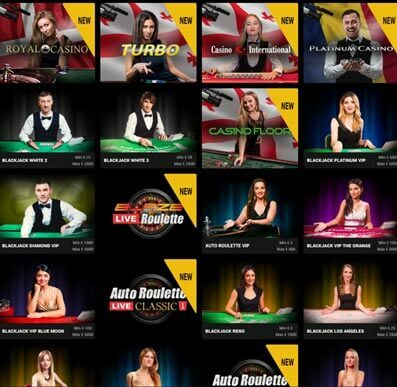 The GoWild casino is licensed and regulated under the Malta Gaming Authority and the Gambling Commission. Because of this license, players can be sure to get 100% fair play in the slots games, as they use a random number generator to find the winners. The casino is run with excellent customer service with very quick responses. The site has an eye-catching and easy to navigate interface, to make even the newbies feel at ease. New games are being added to the lobby every month so there is no chance of getting bored here. The casino can be accessed via a number of platforms – downloadable client, mobile devices or instant play services. Read our Go Wild Casino review and get the best information from the best source. Rather than saying which the accepted countries are, it’s better to list out the restricted ones. Like all online casinos which need to follow the standard rules and regulations of the online gambling framework, GoWild casino has to restrict many countries as well. The restricted countries are United States, South Africa, Singapore, Spain, Serbia, Romania, Malta, Israel, Italy, Greece, Hungary, Denmark, France, Australia, and Belgium. Countries surrounding France and islands under the US are also restricted. Other than these countries, residents from other countries can play on the GoWild casino. But keep in mind that if your country restricts online gambling and winnings from them, it might get difficult to cash out your winnings. Make sure you read through the terms and conditions carefully if you want to know whether or not you are eligible. Why Go Wild With This Online Casino? There are many reasons why one should choose GoWild casino over others. Here are main ones. Once you read through them, you will be able to decide if GoWild casino is really worth checking out or not. Back in 2008, when GoWild first started its business, they only worked with one provider to keep things neat and simple. The one provider was Microgaming, which also gave the Instant play option to the players. However, back in May 2017, things changed at the GoWild site, when they finally partnered up with multiple software providers to add more games and excitement to the site. Right now, there are over 600 games available at the site, with the classics and latest games from all the popular providers. The software providers working with GoWild casino now are NetEnt, Microgaming, Evolution Gaming, iSoftBet, Pragmatic Play, Play’n Go and Yggdrasil Gaming. The games offered are both new and casino classics. The GoWild casino site follows the instant play system, so you don’t need to download anything to start playing. You just need to have a decent internet connection for the games to load properly. But there are plenty of downloadable options as well if you would rather do that. Has SSL encryption validated by Comodo. Mobile casino is available on all the smartphone platforms. The pending period for payment can take up to 48 to 72 hours. Don’t be overwhelmed by the number of games though. The search engine is there to solve that issue. There is a filter to narrow down your search as well. One thing to remember is that there are more than 6 categories on the search option. Click on the little Gear button next to the search, to find even more options to narrow down your search and find the one you are looking for. Some other casinos do offer more options in their search engine, but what GoWild has to offer is not meager either. No matter your choice, there is something you will definitely find at the GoWild casino to keep you entertained for hours. There are some 3 reel slots where the ever popular reel game Break Da Bank Slot, Fruit Slots, and Fruit Salad are waiting for you. They have old school vibes with the fun to play designs to make the overall gaming experience enjoyable for you. Also, games from the 5 reel video slots can keep you hooked in the site. This is what Microgaming is popular for after all. Take a dreamlike journey through space with the super popular Stardust slot game or battle it out with some Greek gods in the Titan of the Sun Hyperion. Classics like Gonzo’s Quest is also available. 80s TV fans can find it equally fun where they can play it at the Bullseye slot. There are even food-based slots such as So much candy and So much sushi to tantalize your taste buds. The selection of slot games at the GoWild casino site is clearly outstanding. When you get bored playing slots, you can try your luck with the progressive jackpot. 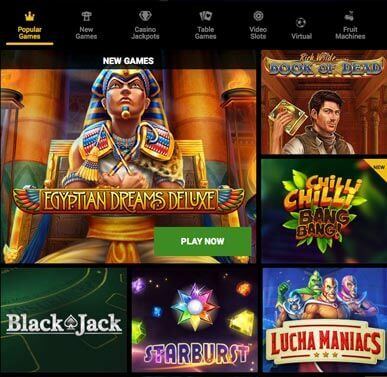 Games like Mega Moolah, The Dark Knight, and Treasure Nile are waiting for you to pick. Blackjack games like Spanish 21, Exposure Blackjack and other types of variations are available on the GoWild casino site. There are several versions of roulette, craps, baccarat and poker-based games there as well. Some of the poker-based games are Pai Gow, 3 card poker, and Cyberstud Poker. The casino also has a live dealer section, so that you can play with real dealers dealing your hand from your home. Going to your local casino might get tiresome, so head over to the GoWild casino’s live one instead to get the same feel and vibe. The GoWild casino offers a hefty bonus to the newly signed users. Users can get a bonus of 100% match for up to £333. The minimum deposit required to activate this welcome bonus is £20. The bonus has a wagering requirement as well. It is 35X the bonus amount for the deposit bonus. The bonus follows the standard structure where the full balance is locked as soon as the deposit is made. This goes on until the wagering requirements have been completed. The maximum bet you can make is 20% of the bonus amount for any single round of play. The minimum amount here is £9. The maximum amount for any single bet to be contributed to the wagering requirements is £5. Keep note that if you are from any of the following countries, you will not be eligible to claim these welcome bonuses, despite being a newly registered player with the minimum required deposit. The countries restricted from getting the welcome bonus are China, Indonesia, Pakistan, Thailand, India, Malaysia, Macau, Mexico, Brazil, Dominican Republic, Hungary, Ireland, Portugal, Poland, Mauritius and the Czech Republic. Also, deposits made via Skrill, Neteller and Paysafecard are not eligible for this offer either. The game weightings are 100% for all slots and fruit machine games, except for progressive games, lucky darts, and mega spin slot games. It is 100% for all scratch cards and keno games as well. It is 50% for many games such as Lucky little gods, Monster munchies, Ghost Pirates, Wild turkey, Wild water, Secrets of Atlantis, Steam tower, Gonzo’s Quest etc. It is 10% for all table games. The rest of the games will count as 0%. To learn about the complete list of game weightings, go to the website and read through the terms and conditions. The bonus continues for the second and third deposits, and you can win a total of up to £700 in bonuses and 50 free spins for making a minimum deposit of £20 each time. This is called Return to the Wild bonus. Other than the welcome bonuses, seasoned players can also take part in the ongoing promotional and bonus offers to win free spins and bonuses. The GoWild casino is a very active site, with weekly bonuses, regular slot tournaments and wagers constantly coming your way. The mobile casino promotions for the GoWild casino is certainly special, as not many casino sites offer them. Promotions like the Sunday Funday, Saturday Booster and Tuesday Spins are regular weekly offers. Special tournaments and cash giveaways pop up from time to time, so it’s better to always keep an eye on the website. It’s really amazing that the GoWild casino site has put so much more love for the users of the mobile site. Additionally, GoWild gives it back to their loyal players. To ensure that, GoWild casino has a comp point program in their system. For every £10 you wager at the casino on the slots games, you will receive 1 wild point. Every 2000 wild points can then be converted into £10. Points will expire after 6 months for account inactivity. Redemption points will improve as you climb up the VIP ladder. Players without at least the Silver VIP status can convert the points to bonuses that carry a 29X bonus wagering requirement. Silver VIPs and above statuses can convert the points straight into cash. The GoWild casino has a mobile version of the site, which can be easily accessed through any mobile devices. As of now, the GoWild casino does not offer any apps for the mobile casino site. The mobile version of the GoWild casino site is fully optimised to make it into a seamless version of the webs tie one. Since the start, GoWild was concentrating on the instant play version. The mobile version will make you feel like as if it was their plan to make it look as good as the website version. You will hardly find another mobile site which looks as well integrated as the GoWild mobile version. The results taken from our Go Wild Casino review show only positive outcome. The games look great with amazing graphics and visual even on the small screen. You can take your game with you on the go, without having to compromise your play time. And sometimes it gets tough to get up and sit on the PC so this is a good option for those times as well. You can access the mobile version just by opening the site through any web browser on your smartphone or tablet. The mobile site of GoWild casino site supports all formats, be it iOS, android, windows, blackberry or Symbian. It seems like GoWild casino actually appreciates when you log in through their mobile site. Exclusively for their mobile site users, they have plenty of bonuses and offers available at all times. For example, for playing in the mobile site on every Monday, you will get a 25% bonus of up £100 on a minimum deposit of £20. You will also get 10 mobile spins on the slot Piggy Riches. The live casino at the GoWild site is made so that you don’t feel detached from the feel of a real casino. The live casino can connect you to a real dealer dealing your hand, no matter where you are. You and the dealer might be sitting miles apart, and yet you will feel like you are sitting at a real casino. The live casino follows the themes of the real casinos from Las Vegas. So if you have never been to a traditional casino, now is your chance to get the feel, that too without having to leave the comfort of your home. The live casino has to offer all the major casino classics table games, such as Poker, Baccarat, Roulette, and Blackjack. Make your pick and play to win like a real gambler. GoWild has a range of payment options for you to choose from. In fact, there are more than 20 payment methods through which you can make your deposit or get your withdrawals. All the popular methods, as well as wire transfers from your bank, are available for you. So don’t worry as the payment issue will never become a problem for you. The payment methods include credit and debit cards, e-wallets, prepaid vouchers, instant banking and good old wire transfer from banks. Payments and withdrawals are quick and safe, and your options are Visa Card, MasterCard, Neteller, Skrill, Trustly, Paysafe, EcoPay, etc. You can also make the deposits or withdraw straight from the mobile version of the GoWild casino site as well. You can use your smartphone or iPad and make a deposit and withdraw money from the same method as the website. If you are playing from Canada, you will get to use InstaDebits and iDebits as well. There are no additional fees to either make your deposit or withdraw cash from the GoWild casino site. The processing for the payments will take 48 hours, which is the average for most of the online casino sites. However, it doesn’t make them the fastest paying casino site because of this reason. After processing, you can get your winnings in less than 24 hours usually. It can be even quicker if you deposit via Skrill or Neteller. In those cases, it can only take a couple of hours. The minimum withdrawal amount is £20 and the maximum is £9,000 per week. The minimum deposit amount is £10. The currencies available in both cases are EUR, USD, CAD, SEK, and NOK. There is a live chat option to reach the customer service team but there is no call back feature there. But they have local numbers for Germany, Sweden, Austria, Norway, and Switzerland. You can call a toll free number in Malta if you are an international player. It’s toll-free only if you use a landline though. The support number is +356 2778 1768 (Toll-Free). GoWild casino opened its business back in 2008 as an independent business operation. Over time they have partnered up with many software providers to round up more than 600 games. The customer base keeps growing as they add more and more entertaining games to the lineup. The GoWild casino site is definitely safe and secure, because of its license. The licenses ensure that the standard rules and regulations are maintained to keep the user’s personal and banking information safe. The GoWild casino site has obtained the fairness card from the eCOGRA, so it’s safe to say that they are fair. Also, the customer service team will get back to you within a reasonable time to solve your issues as well. The GoWild casino site has lots of great things to offer to both new and pro players alike. If you are unsure about where to start your online gambling, GoWild can a good place, because of their generous welcome bonuses. The amazing game features and good quality of the mobile version of the site sure make it a hot spot for online gambling. Our Go Wild Casino review has, hopefully, given you a good insight of what to expect from this operator. The pros can make or break your chances of checking out a new casino. GoWild puts a tick mark beside a lot of good qualities for an online casino. However, there are some minor cons as well. If you’re looking for a place that offers both casino and sportsbook, this is probably not the place. But if you like to play slot games, stay assured that they know what they are doing.